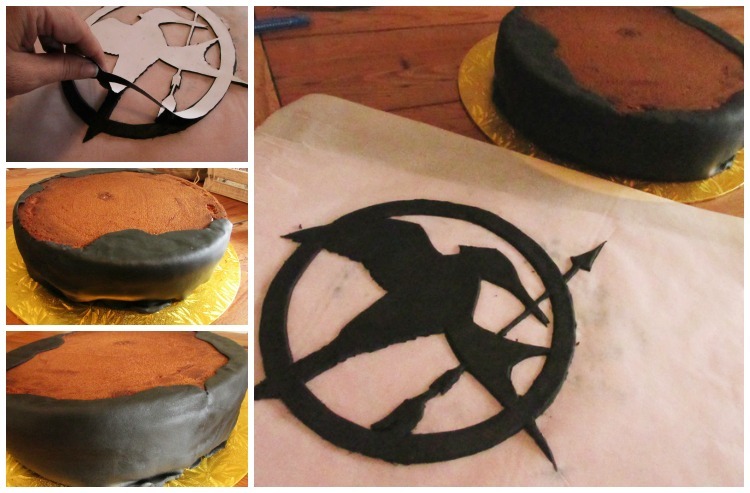 There have been many cake fails in my birthday party history, but none quite as spectacular as the time I nearly killed the Mockingjay Cake. 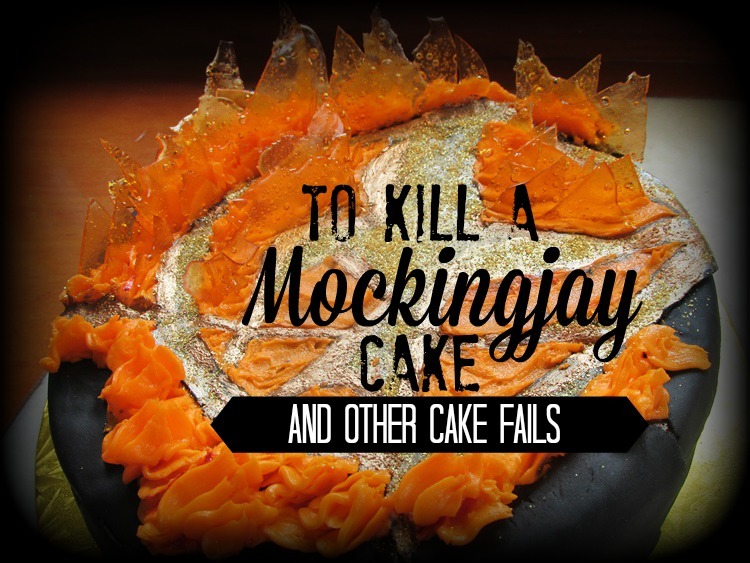 Ironically I photographed every step, because this was meant to be a tutorial post on how to create a marvelous flaming Mockingjay Cake for your epic Hunger Games party, sponsored by my lovely party partner, Sandra at Kiwi Cakes. Sandra had sent me all the gear - the black pre-coloured fondant, the clever little fondant cutter, the edible gold dust - so really I had no excuse. OK so I was still making do with my $2 shop piping kit, but I HAD A PLAN and it was a good one. I printed and cut out the paper Mockingjay stencil. I laid it on the cake = perfect fit! I placed the paper stencil on the rolled fondant and used Sandra's clever little fondant roller (using the smooth edge "blade") to carefully cut out the shape - with me so far? Yep it was all going so very well at this point. I wrapped the sides of the cake in more rolled black fondant - looking good so far. And that's when I made the fateful mistake. 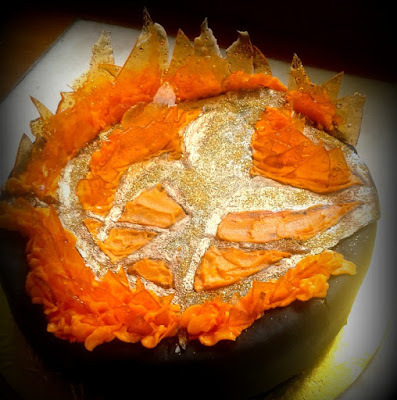 I should have spread the orange buttercream on SMOOTHLY, laid on the fondant Mockingjay and ONLY THEN attempted to pipe on flames. And only a few, at that. The kids could barely tell it was a Mockingjay. (When I asked them what they thought of it at this point, they tried to be nice but I could tell they weren't impressed). 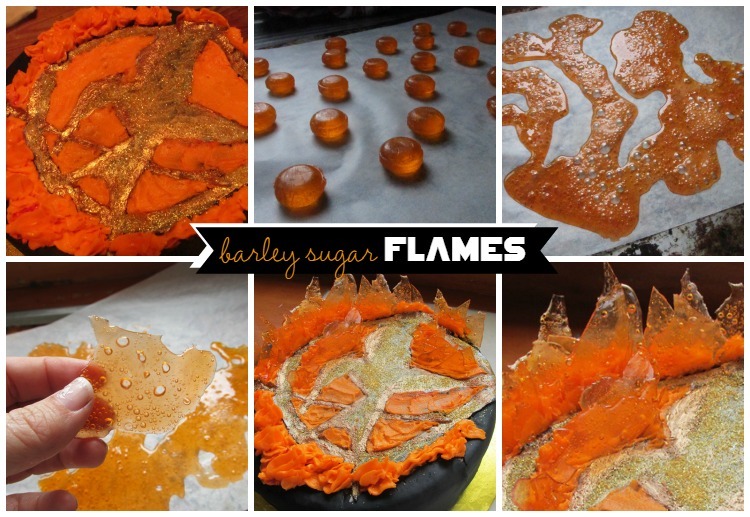 There was only one thing left to try: barley sugar flames. It wasn't *quite* what I had pictured, but it was at least recognisable as a fair attempt at a Mockingjay cake. I'm sharing this so you can be encouraged that cake fails are common to us all. 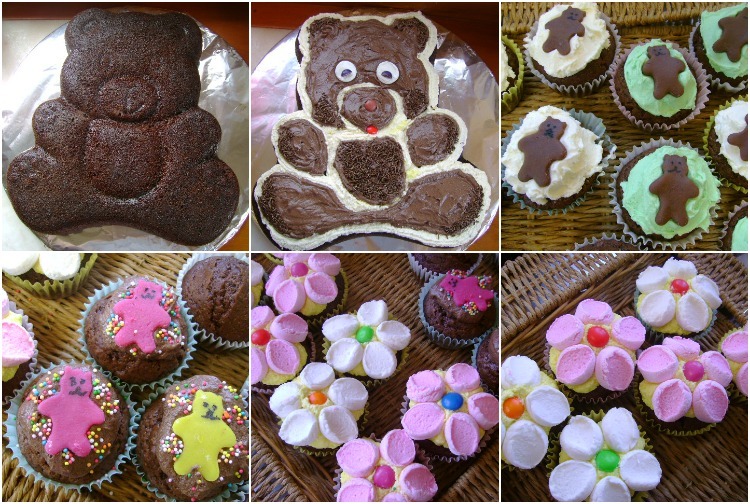 And there's always a chance to redeem a fail with icing and lollies, and maybe some edible gold dust if you're lucky. 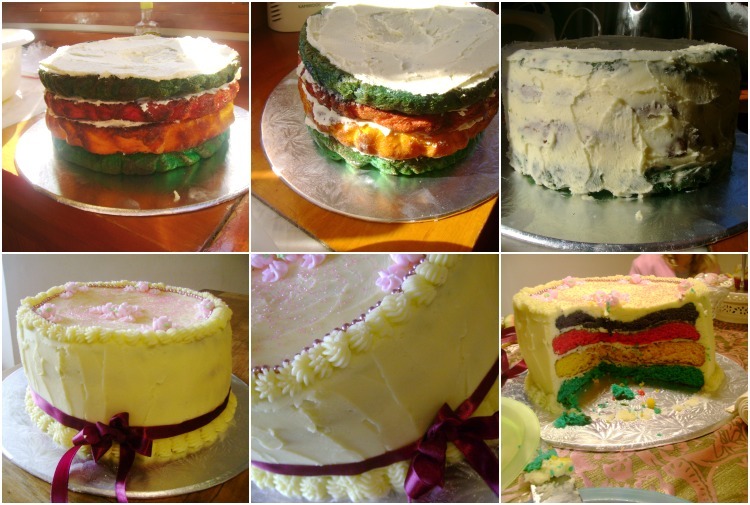 My first attempt at a Rainbow layer cake, where the layers were bumpy, lumpy and uneven. Disguised with two layers of icing. I just kept on layering it on until it was smooth (then added a ribbon, to distract the eye further). As you can see when it was cut - LUMPY. But the guests didn't care. That's the nice thing about kids - as long as it's edible and colourful, they will think it's awesome (if in doubt add more lollies). 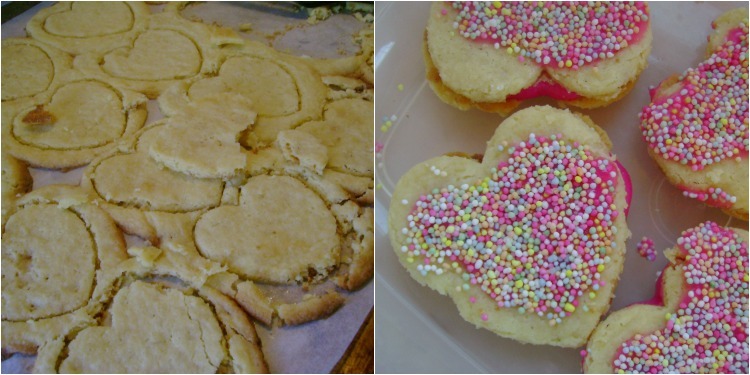 ....and another fail/save from the same party (Miss Fab's Fancy Nancy party where I was experimenting with gluten free flour). Heart biscuits that spread out ALL OVER THE TRAY. I redeemed them by pressing the heart cutter into the soft cooked mess, and then (once cooled) sandwiching them together with pink icing. The sprinkles helped, too. So yeah. 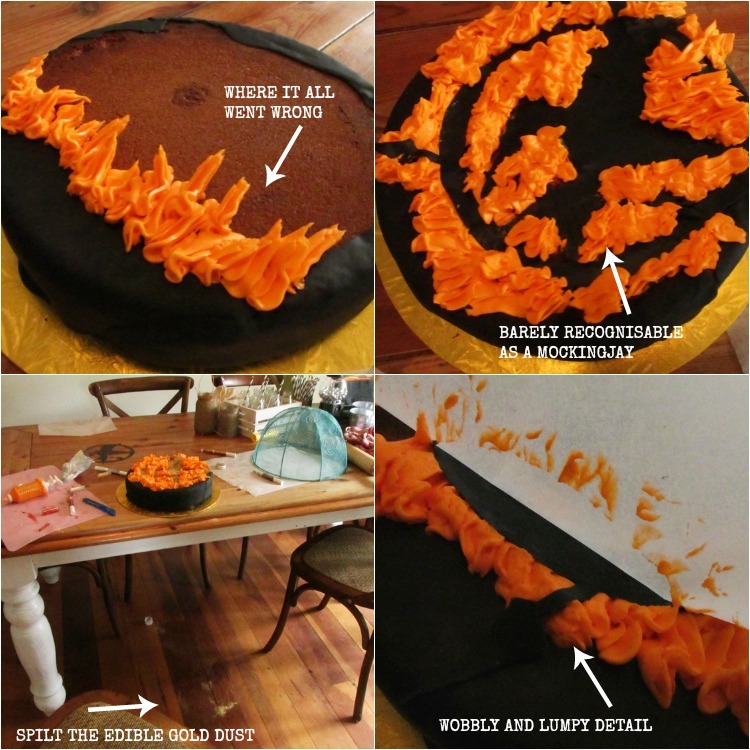 We all have those cake fails. In the end what matters is WE TRIED and THEY ATE IT. Got any cake fail stories for me? P.S. 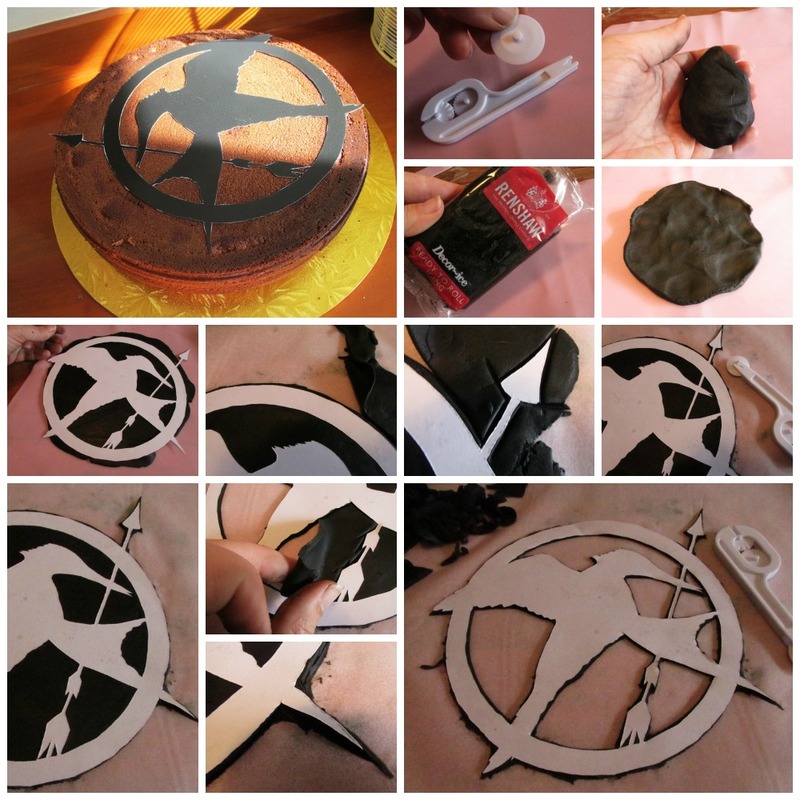 If you want to attempt a Mockinjay cake and learn from my mistakes, you can get the printable mockingjay stencil on my Hunger Games Party how to post.